C14, Freedom and others have blocked a street in Kyiv. 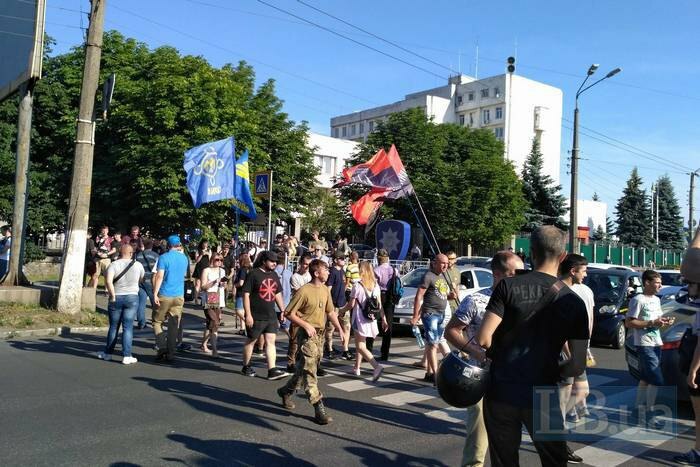 Around a hundred representatives of far-right groups such as Freedom, the Right Sector, C14 and Monolith blocked the Narodnogo Opolchennya Street in Kyiv near the patrol police department. They are protesting against police actions before the Equality March on 17 June, according to an LB.ua correspondent. 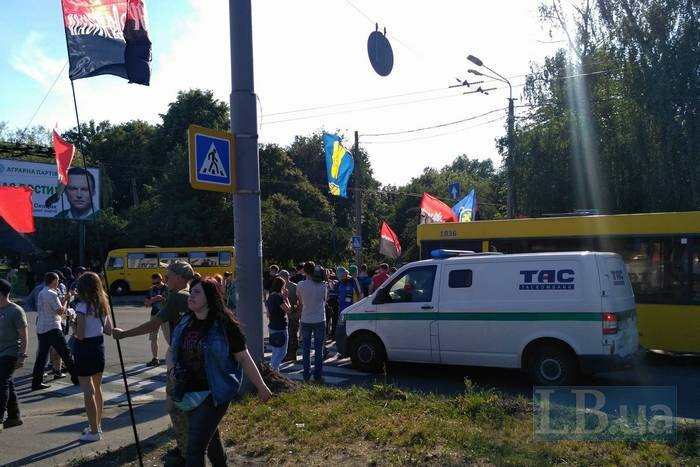 At first, they held a rally, after which they started crossing the street at the corner with Vinnytyska Street in both directions without stopping. As reported earlier, on 17 June, police clashed with far-right protesters before the Equality March in Kyiv on 17 June. Around 60 nationalists were briefly detained. Five police officers and six civilians were hurt and required medical attention.